(known as modalities) that are available through Durango Mobile Massage. Therapeutic Massage combines several modalities to address challenges related to rehab and recovery. Examples are torn rotator cuff injuries, lower back injuries, chronic pain issues, and many others. Plantar fasciatis and hip flexor immobilization issues can also be addressed. Myofascial Release is a safe and very effective hands-on technique that involves applying gentle sustained pressure into the Myofascial connective tissue restrictions to eliminate pain and restore motion. This essential “time element” of myofascial therapy has to do with the viscous flow and the piezoelectric phenomenon: a low load (gentle pressure) applied slowly will allow a viscoelastic medium (fascia) to elongate. Typically myofascial work is used in combination with techniques to help with people who experience RMI (repetitive motion injuries), surgery and rehabilitation but not limited to overall opening of a tight body. Traditional Hawaiian Lomi lomi was conducted with prayer and intention. It was also called "praying" work by one of elders, Auntie Margaret, who brought it to the modern world. They knew the power of the spoken word. They knew Nature. The word Lomi lomi means massage person. This tradition focuses on body, mind, and spirit. It’s very ritualistic and very special by its nature. It is emotionally deeply healing. In the old days it was performed by a kahuna, or medicine person. The movements are smooth and flow like the movement of the ocean and move over and under the body simultaneously. Sometimes stones or shells are used to deal with energetic debris that does not serve the body. The practitioner is required to stay intently focused on the preparation before a session and during the session. Even thoughts can influence a session. It is deeply relaxing and helps people deal with emotional challenges. Sports massage techniques vary from therapist to therapist. We use compression stretching from the British sports therapy technique and active and passive isolated stretching. Sports body work is used for athletes and non athletes alike due to the nature of the activity. It helps open certain muscle groups to improve flexibility and mobility. Deep tissue massage means that we access the deeper layers of muscles particularly when adhesions or scar tissue are present. Deeper pressure in combination with deep circular friction are used. Adhesions can sometimes hang out in deeper layers of muscle causing quite a bit of discomfort. 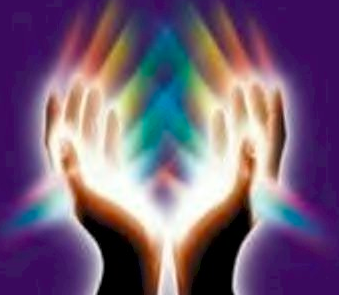 Reiki/Qigong are interchangeable and both mean energy. The first comes from then Japanese tradition while the other from the Chinese. Essentially we are working on the energy body of a person as all dis-ease starts there before you ever see it in the physical body. It is particularly useful when direct touch is impossible or the lymph system is affected. During emotional crisis it is also effective. 9 Breath Method is a Qigong breathing technique used as a way of increasing the vital energy in another’s body as well as your own. Side effects are improved mood, increased energy, feeling of connectedness and in many cases an improvement in physical challenges the client might be experiencing. Raindrop technique is a powerful technique using essential oils that was developed by D. Gary Young in the 1980s. It combines several holistic modalities to bring balance and alignment to the body in a non-invasive manner. It also stimulates all the body systems on a physical and emotionally level. This technique involves applying therapeutic grade essential oils to the spine, neck and feet. Raindrop massage is very useful for any kind of spinal misalignments or challenges. Thai massage is a system of massage and manipulation developed in Thailand, and influenced by the traditional medicine systems of India, China, and Southeast Asia, as well as by yoga. The massage recipient changes into loose, comfortable clothes and lies on a mat or firm mattress on the floor. The receiver may be positioned in a variety of yoga-like positions during the course of the massage, but deep static and rhythmic pressures form the core of the massage. Often times movements follow energy pathways called Zen lines. DONA Doula- The greek word "doula" means woman caregiver. We describe her as a trained and experienced labor companion who provides the woman and her partner continuous emotional support, physical comfort and assistance in obtaining information before, during and just after childbirth.